King Estate Agents are delighted to bring to the market this WELL PRESENTED DETACHED FAMILY HOME in the established area of Bradville. The property benefits from a SINGLE GARAGE with driveway as well as LARGE REAR GARDEN. 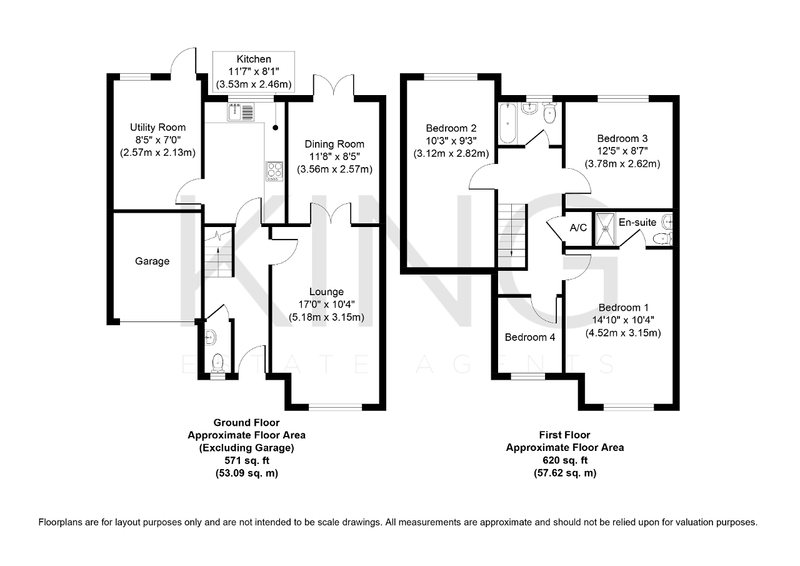 In brief the ground floor comprises of Entrance Hall, Cloakroom, Living Room, Dining Room, Kitchen and Utility Room. The first floor comprises of Master Bedroom with En-Suite as well as three further bedrooms and a Family Bathroom. Outside there is a rear garden and a driveway leading to a single garage.